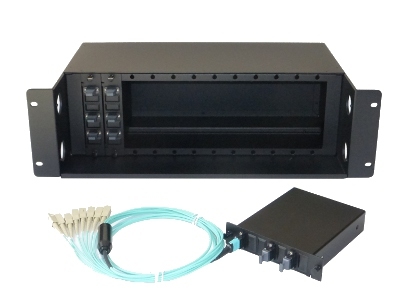 In addition to the patent-pending 1RU SplitLight chassis, M2 Optics offers optical splitters, network taps, and WDMs in an LGX-style platform. Our ultra-high density modules provide a significant advantage over alternative solutions, allowing users to signficantly reduce rack space requirements in the network environment. Contact M2 Optics today to learn more and customize a solution for your specific requirements.